Japan (as far as I know) invented the capsule hotel. Nobody else would, or could. 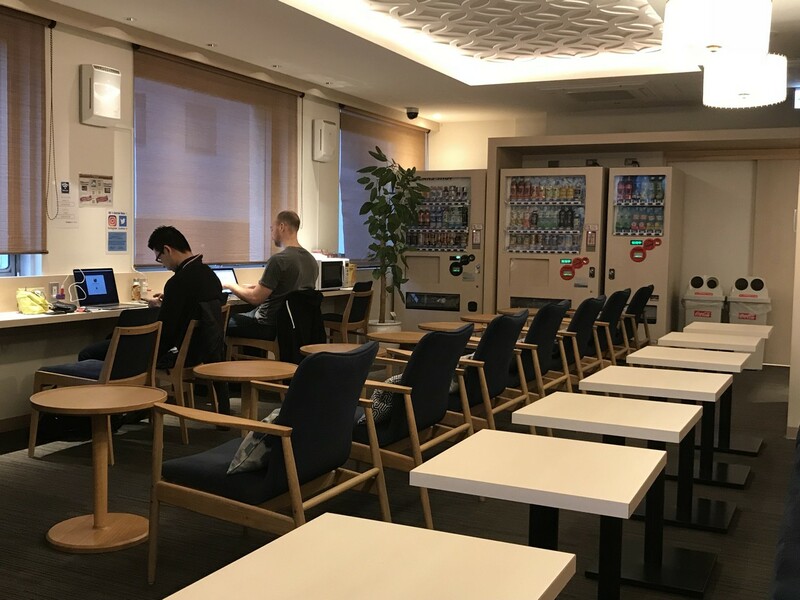 These are places where a wandering non-gazillionaire or random businessman can stay, for example, in the trendy inner Tokyo district of Ginza for as little as USD35 a night. 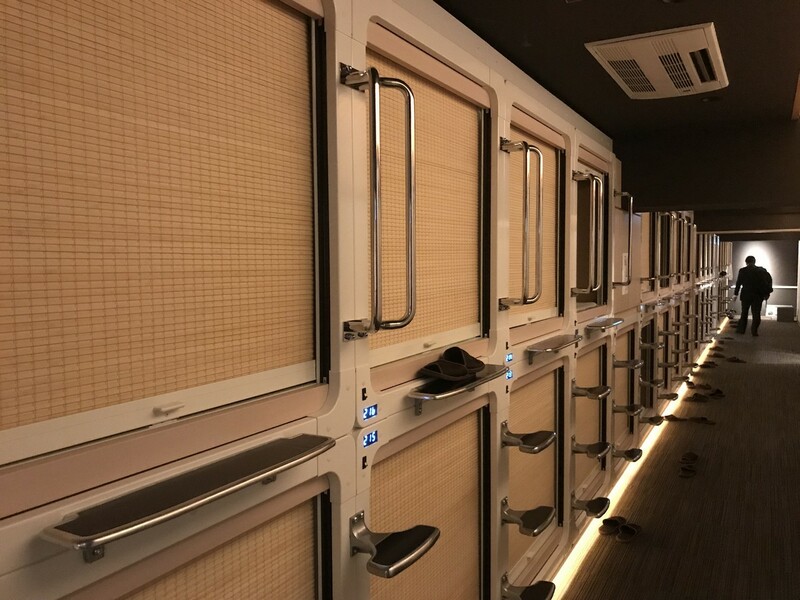 This particular one is advertised as a “high quality” capsule hotel and maintains a level of cleanliness that is just downright Japanese. 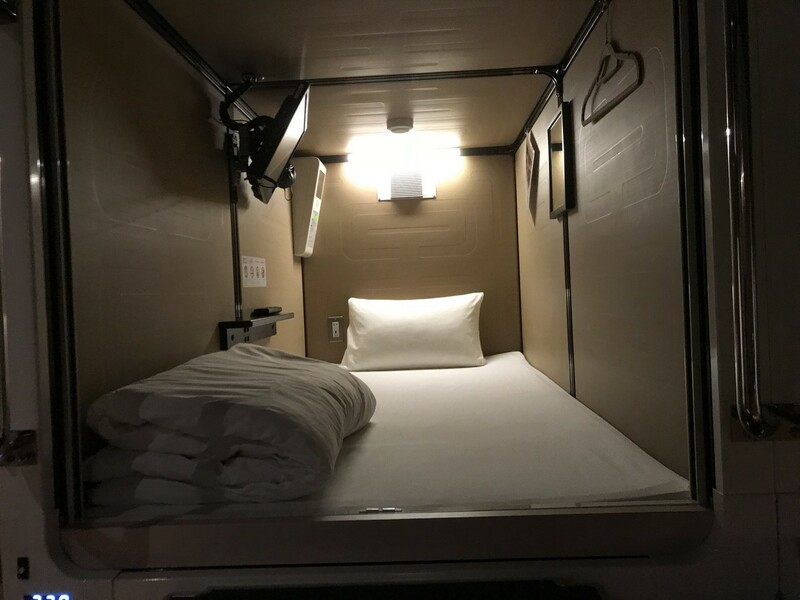 The Capsule Hotel is named as such because ‘Coffin Hotel’ just doesn’t quite have that same friendly ring to it… for a few extra bucks you can get a coffin with a TV. Yep, just get down on all fours, or climb a few steps up the conveniently provided ladder, and your room is waiting! For context, if you’ve ever wondered how to fit a few hundred people into one rather small hotel… it looks kinda like this. There is no room inside the coffins capsules for any personal effects, which is a bit disconcerting. My carry-on sized bag is assigned its own locker, which I have to keep looking for. It is somewhere here. I get disoriented. There are corridors of these things. It’s the little things that take a bit of time to get used to… as a westerner, I have to keep reminding myself where all my stuff is, like my shoes which reside in their own, separate locker, one floor up. The constant changing of footwear becomes routine after a while and my hosts happily dispense slippers at an Olympic pace, along with fresh pajamas daily, toothbrushes, paste, razors… it’s all terribly civilized. Shoe locker, Tokyo, Japan. My shoes are safe. 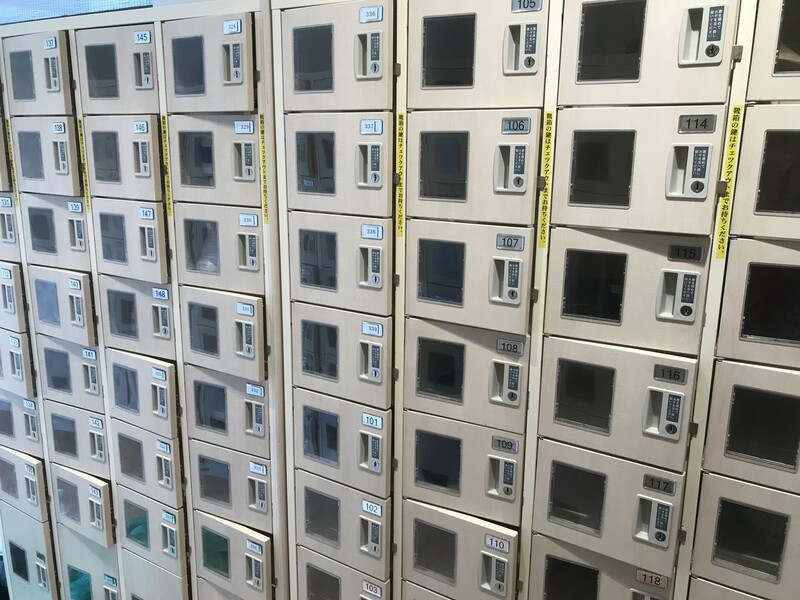 The Capsules are serviced between 10.00 and 16.00, when guests are welcomed to the “lounge”, to relax, charge devices, browse inexplicable Japanese items in the vending machines or watch inexplicable Japanese TV. So… thankfully, Tokyo doesn’t have to be insanely expensive after all. I’d wouldn’t recommend it to the claustrophobic though. 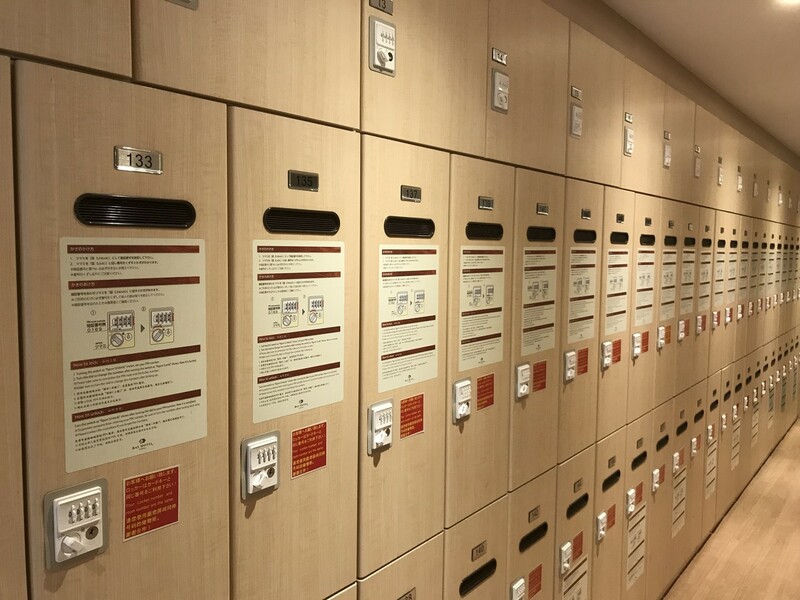 5 Comments on "A Week in a Tokyo Capsule Hotel"
I think I have to try this, even just for a night! Many thanks, as always, Stuart, for you excellent travel report! Thanks God you are still there takecare and God Bless Always my friend!